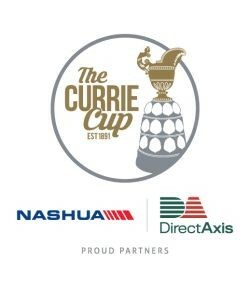 The Cell C Sharks and DHL Western Province will meet in the Currie Cup Final – sponsored by DirectAxis and Nashua – in Durban on Saturday after powering their way to victories against the Vodacom Blue Bulls and Xerox Golden Lions respectively in the semi-finals. Log-leaders, the Cell C Sharks, defeated the Pretoria side 37-27 in Durban, while DHL Western Province took advantage of the Johannesburg outfit’s ill-discipline in Cape Town to secure a 19-5 victory. These results reaffirmed their status as the top teams in the competition and steered them to a repeat of the 2012 and 2010 Currie Cup Finals in Durban. The Cell C Sharks started their semi-final with a bang at Growthpoint Kings Park as they scored two tries in the first six minutes compliments of centre Lukhanyo Am and winger Kobus van Wyk, and added another two by scrumhalf Louis Schreuder and lock and captain Ruan Botha before the break. In turn, they limited the Vodacom Blue Bulls to a converted try and two penalty goals, which earned the hosts an encouraging 28-13 halftime lead. 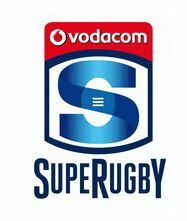 The visitors worked their way back into striking distance of the home team on the scoreboard as they added two tries to their score in the third quarter, while their effective defence denied the Cell C Sharks from crossing the tryline again in the match. However, two penalty goals and a drop goal by flyhalf Curwin Bosch guided them to a 37-27 victory and their first final berth since 2013. Interestingly that Final was also against DHL Western Province, but hosted in the Mother City. In Cape Town the clash between DHL Western Province and the Xerox Golden Lions was a hard grind from the outset as both sides tried to make their presence felt, but were limited by the solid defence, which resulted in each side scoring only one try in the match. Both tries were scored in a first half, while the hosts’ flyhalf Robert du Preez slotted over two penalty goals to push his team 13-5 ahead going into the break. They maintained this competitiveness after the break, which resulted in the only points scored being two more penalty goals by Du Preez for the 19-5 win. This, however, was all they needed to book their place in the final against the Cell C Sharks in Durban. 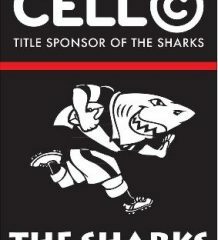 Cell C Sharks – Tries: Ruan Botha, Louis Schreuder, Lukhanyo Am, Kobus van Wyk. Conversions: Curwin Bosch (4). Penalty Goals: Curwin Bosch (2). Drop Goal: Curwin Bosch. Vodacom Blue Bulls – Tries: Pierre Schoeman, Ivan van Zyl, Burger Odendaal. Conversions: Marnitz Boshoff (3). Penalty Goals: Marnitz Boshoff (2). DHL Western Province – Try: Wilco Louw. Conversion: Robert Du Preez. Penalty Goals: Robert Du Preez (4). Xerox Golden Lions – Try: Jaco Van der Walt.